Do you have any concern about recent activity in Utah with parolees committing crimes? What plan do you have to balance the budget soon and ease the debt? What are your thoughts on federal land management? Senator Mike Lee hosted this interactive Vekeo event with the residents of Summit and Wasatch counties. Senator Lee answered questions from participants about the specific issues affecting those who live in these counties. Topics addressed included criminal justice reform, regulatory reform, his support for a balanced budget amendment, and mismanagement of federal land. 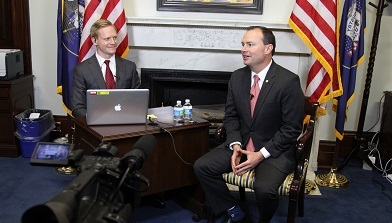 Senator Lee concluded by encouraging participants to contact him concerning issues with any federal agencies.